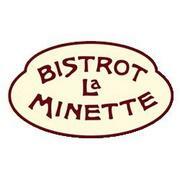 Bistrot La Minette is looking to hire a line cook who can step onto a protein station and be successful. Bistrot is looking for a full time cook, someone with experience on a protein/meat/grill station, with at least one year full service, fine dining restaurant experience. We are looking for someone who is dedicated to the level of culinary excellence that we are striving to achieve.